Fiber reinforced polymers have gained market maturity in numerous sectors and the market for synthetic fibers used in composites is forecast to exceed $9bn by 2027. This uptake is driven by their favourable combination of properties most notably being the lightweight mechanical performance. The key next step for these products will be the concept of multifunctionality. This is the idea of making a structural part carry out additional role(s) beyond their current primary mechanical task. The added functionality can be diverse including enhanced electrical & thermal conductivity, embedded sensors & actuators, energy storage & harvesting, data transmission, self-healing, and adaptive response (morphing) mechanisms. A new report has been launched by IDTechEx on Multifunctional Composites 2019-2029, which covers all of the underlying technology, main players, and applications. For commercial or near-commercial technologies granular 10-year market forecasts are provided and company profiles of key emerging players are provided alongside this report. The overall market for smart composite material with embedded functionality is expected to exceed 5 kilotons by 2029. Enhanced thermal and electrical conductivity is already commercially employed and is gaining more traction. This report explores the many routes into enhanced conductivity most notably through the inclusion of nanocarbon or metallic species as additives, coatings, mats, or wires. The main drivers for thermal conductivity are de-icing, heated tooling, and thermal dissipation. One of the most notable examples to date has been the use of embedded de-icing technology developed by GKN on the Boeing 787. Electrical conductivity is again driven by the transportation sector with lightning strike protection, EMI shielding, electrostatic coating, and complete circuitry the main applications. Embedded sensors can provide real-time part monitoring both in-production and in-operation. Structural health monitoring is challenging for composite parts with the aim to detect delamination, cracks or any other sign of mechanical fatigue. There are numerous competitive technologies in this field including a range of fiber optic sensors (FOS), piezoelectric wafers, and more. The obvious application is again in aerospace and defense but the role in oil & gas, overwrapped pressure vessels, and more should not be overlooked and are outlined in this report. Energy harvesting and storage is a key area in an increasingly electrified transport sector. There has been minimal success in truly embedding energy harvesting devices with the continued emergence of solar skins conformally deployed on the surface. However, energy storage is an important multifunctional development. 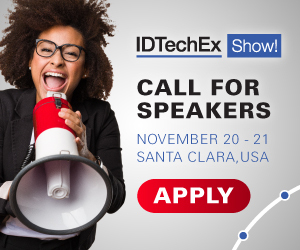 IDTechEx believe this will go through two stages: the first-stage is embedding conventional Li-ion batteries within the composite laminar structures and the final goal is to have the composite act as a battery or supercapacitor itself. It is this second stage that has coined the termed "massless energy" where there are the greatest long-term opportunities. Data and power transmission carried out by the composite part could remove the need for wires or signals and provide both robust and lightweight solutions. There are numerous attempts to achieve this utilising very diverse technology approaches ranging from the development of electrically insulative coatings on carbon fibers to the propagation of surface waves between different dielectric layers. Adaptive response mechanisms with embedded actuators is not a new concept with the idea or morphing or shape-changing wings over a century old. However, new innovations and deployment tests in both active and passive actuation makes this concept come all the closer. Self-healing does not enable any electric functionality but is highly explored within the research community and sought after by end-users. Autonomic vs Nonautonomic and extrinsic vs intrinsic strategies and advancements for fiber reinforced polymers are outlined and analysed. Fully embedded circuitry and electronic componentry can be perceived as a future end-goal for this field. This report looks at the different routes into enabling this utilising both in-mold electronics and 3D printing. The diagram above illustrates the progression to more complex and bulk structures all of which are highlighted in the report.